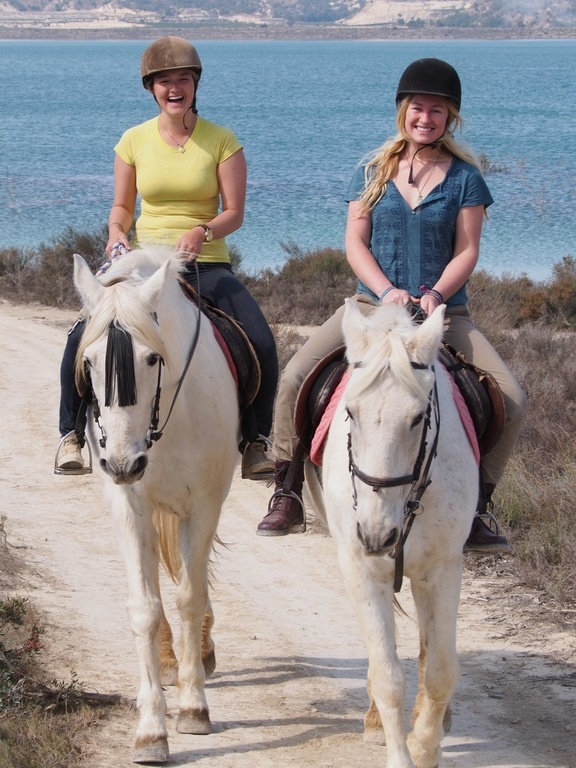 There is plenty of opportunity to ride in Spain, and there are many centres that offer trekking in the area, one of which is at Casa La Pedrera, The Grand Design House. They are situated just inland, a short drive from the popular tourist desinations and is easily accessible via the AP7 motorway or even the N332. The beauty of this centre is the location and all rides take place in the most stunning setting, a protected reserve that borders a lake, La Pedrera. It is well known in the area for the colour of its waters that change from azure blue to torquoise green, and there are many paths and tracks to navigate. They offer rides for the novice and experienced riders, and even children from the age of 3, on their gentle shetland ponies. Adults are encouraged and required to walk with their children and enjoy the experience with them. They are open alll year round and it is required to book in advance due to the popularity of this activity. If you have experience with horses, you are encouraged to come a bit earlier, if you would like to help brush and tack up the horses, which is a great way to bond with the horses. There are half hour, hour and 2 hour routes available, depending on experience, so something to suit everyone. Hats are provided, and there is time in the ring beforehand to get to know your horses a bit better and receive instruction. After your ride, you can also use their pools in season, at a discounted rate, and enjoy the fabulous views over the lake. There is also a tea garden cafe, where you get some lunch and refreshments. Another bonus, is that if you enjoy riding, and your partner or someone in the group/family does not, there is always another activity to choose. They also offer quad biking, kayaking on the reservoir, archery, air rifle, mountain biking, fishing and so much more. Alternatively you can just sit in the tea garden or even visit the craft shop which is open daily. All in all a great day out for the whole family! Contact Jenni on 660816620 or visit www.thingstodoinspain.info which has a link to their facebook page, which has many photos of happy visitors.